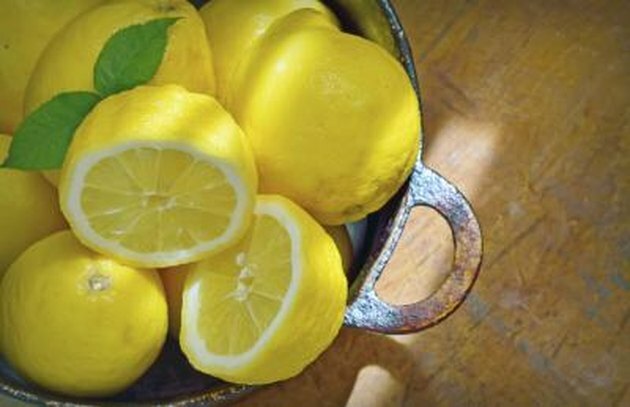 Is Lemon Good for the Bladder and Kidney? Kidney and bladder health is a complex and varied area, with many different conditions and their respective treatments. For any medical condition or problem relating to your urinary tract or kidneys, you should consult a doctor for medical advice before trying any home remedies or complementary therapies. Lemon juice has the potential to reduce certain symptoms relating to the bladder and kidneys, and to aggravate symptoms in other cases. If you suffer from the bladder condition called interstitial cystitis, citrus fruits, including lemon, could aggravate your symptoms. Interstitial cystitis -- also referred to as painful bladder syndrome, hypersensitive bladder syndrome or bladder pain syndrome -- involves bladder pain, frequent urination and pelvic pain. The Interstitial Cystitis Network publishes dietary guidelines regarding foods most and least likely to cause additional urinary symptoms for people with interstitial cystitis. Lemons, citrus fruits and other acidic fruits and fruit drinks are categorized as most likely to make symptoms worse. A urinary tract infection, or UTI, can begin in any part of your urinary system, which includes the kidneys, the bladder, the ureter or the urethra. The most common area affected by a UTI is the lower urinary tract, including the urethra and bladder. Painful urination, frequency and urgency are common symptoms of a UTI. Cranberry is a traditional preventative for UTIs, and lemon juice has been proposed as another potential home remedy. Dr. Laurie Steelsmith, a licensed naturopath and author of the "Natural Choices for Women's Health," writes that lemon juice, although acidic, has an alkalizing effect on your urine after passing through your digestive system. The alkalizing effect of lemon juice can reduce the pain of urination during a UTI. However, the only way to cure a UTI fully is with prescribed antibiotics. Kidney stones occur when acid and mineral salts form hard deposits inside your kidneys. Passing a kidney stone can be painful, and treatment for small kidney stones commonly involves hydration and painkillers. For larger stones, doctors may use sound waves to break up the deposit, or consider surgery. Kidney stones cannot be cured by alternative medicine. However, both lemon juice and orange juice can be helpful in reducing your risk of developing kidney stones. Citric acid in lemon juice could reduce levels of calcium in your urine, thereby reducing your risk of calcium kidney stones. Bladder control problems, including urinary incontinence, affect many adults in the United States. Adult women should eliminate all potential bladder irritants from your diet and reintroducing foods one at a time to establish which are making your symptoms worse. Lemons, together with other acidic fruits such as grapefruits, limes and oranges, can irritate your bladder and cause pain or leakage. Can Cranberry Juice Make You Urinate More?